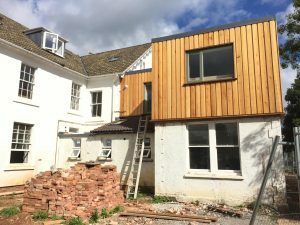 Church conversion project nears completion! 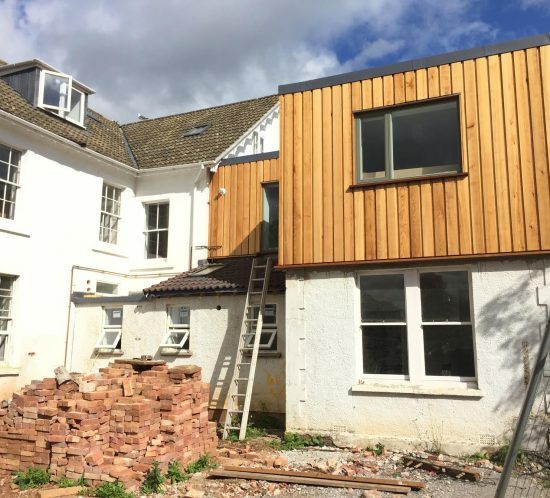 The conversion of the former cottage hospital to 9 apartments nears completion with the installation of the vertical cedar cladding to a previously extended section of the building. 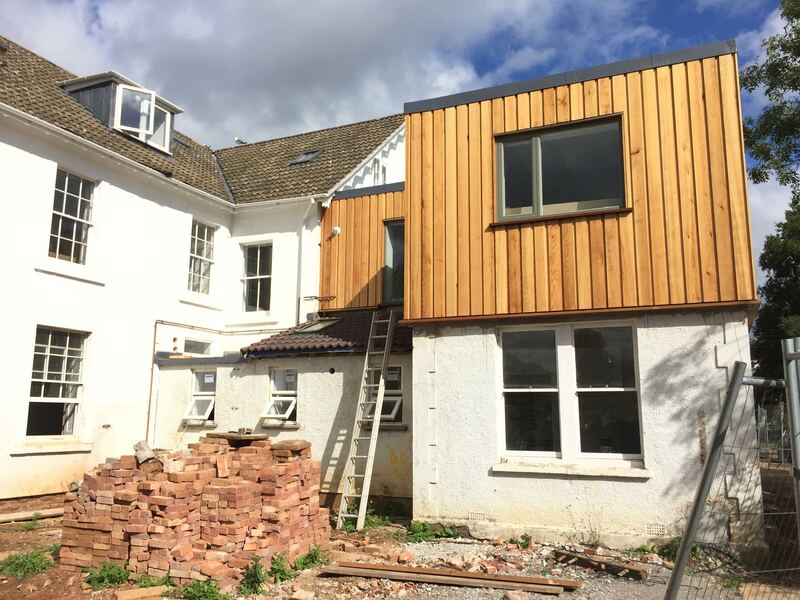 The flat roof building now stands in contrast to the historic original structure with a sharp contemporary finish.